The day digital downloading actually kills physical CDs and DVDs is the day I become a very depressed man. Just because something is digital hardly means it is better. I severely doubt that CDs and DVDs will ever completely die off in our lifetimes. There just happen to be alternatives that are becoming more and more common. I mean look at records, it's a niche market still but music on vinyl is very much alive and well. I wouldn't worry, especially considering how many CD and DVD players there are in the world. Besides wanting to tell you that I enjoy your name, I agree that digital doesn't necessarily mean better. There are just different advantages to something that's an alternative to physical media. Thank you for the compliment on my recent screen name change. I understand where you're coming from with the potential advantages of digital. I am, however, one of the few of my generation (Class of 1998) who really wishes that someone would bring the rapid and for the most part, unnecessary advancement of technology to a screeching halt. I'm tired of computers that are obsolete before they even hit stores. I'm tired of cell phones that are the technolgical equivalent of the Swiss Army knife when all they really need to be are phones. I don't see the picture difference between Blu-Ray and standard DVD, nor did I ever think that it was necessary to own a TV with a picture so clear that you completely defeat the purpose of stage make-up because you can see every zit, pockmark, scar, and blemish that Katie Couric has had since birth in HD. I have a love/hate relationship with the internet on account of the fact that while I get the blessing of using it to come here to this board on a nightly basis while I am at work as it is the only internet access I have at present, I am constantly fighting with the server to actually work, which does not help when 75% of the work I am supposed to get done on a shift requires me to have access to the internet. 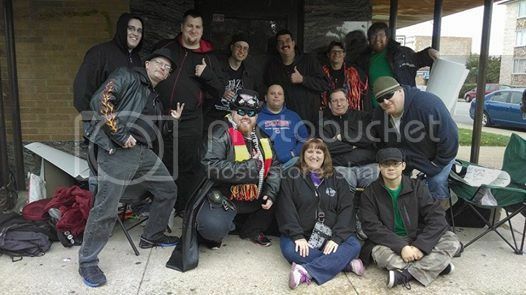 From Lufistos official website, who is the lady holding the belt? The original post in this thread has been updated. Feel free to post any suggestions for additions to be made to the FAQ in the future. Very interesting and very tight way to run a ship. The most important thing is that the show goes on. If only a little Philly based company from the 90's was this smart. Hey Dave, what's the meaning of your latest tweet, for those of us not in the know, or a little slow on the uptake (which might be me in this case since I just now got the joke about McLevaMark's handle, brilliant)? The one about Vegas? Guess that shady "GLOW" promoter used some of Death Rey's SHIMMER footage that Dave didn't agree to. Oh okay. Was this posted somewhere? The link is in the Ringbelles article. I'm sure Nattie and Sarah Stock are pleased they're in the "trailer" for this thing too. 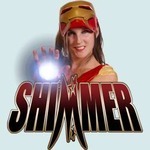 Will when SHIMMER DVDs 45, 46, 47 & 48 will ready for purchase this year? I read where SHIMMER 45 is close to becoming reality. Will the others follow right away? 45 and 46 will be up for pre-order simultaneously within the next week or so.